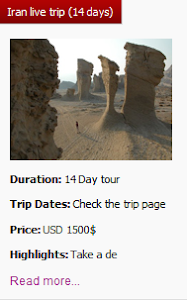 Uppersia Iran Travel blog: Iran is becoming a top destination on travelers bucket lists. 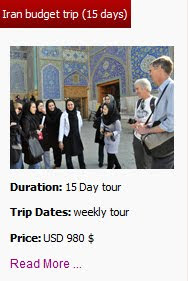 Iran is becoming a top destination on travelers bucket lists. Iran is becoming a top destination on travelers bucket lists, but what gives this country its charm? If you love outdoors, Iran is your paradise. This magical country has some of the most stunning natural scenery in the world which is why it is at the top of travelers bucket list .The nature is incredibly diverse and distinct and amazes you every minute. From the beautiful desert steeps and incredibly sand dunes in the center, to the mountainous regions in the west and to the Persian Gulf in the south, Iran’s nature will never bore you. Iranian are arguably the most friendly and warmhearted people in the world. You are welcomed open-armed everywhere. It doesn’t matter that they do not speak English; they speak with their warm smiles. If you’re looking for a destination where you can look forward to lots of pleasant interactions, head to fantastic Iran known as the home of some of the world’s friendliest people. Iran is not only one of the world’s most beautiful countries, it’s well-known for its fun-loving, generous people who are sure to welcome you in as if you were a long lost friend. The area that is Iran today is home to one of the oldest human civilizations and was the center of the Persian Empire, officially the Achaemenid Persian Empire. Dating back to the 6th century BC, they ruled a huge area that covers modern day North Africa, Turkey and parts of the Middle East. Visitors can see remnants of this incredible period in Iran's past. Iran’s culture is deeply intertwined with its long and rich history, especially from the Persian Empire. Art, literature, architecture, and music have deep roots which are still visible today. In fact, Persian artifacts can be seen in many leading museums. This alluringly exotic country attracts hordes of visitors with its rich culture, fascinating history, cosmopolitan cities and glorious weather. 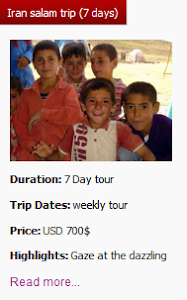 Uppersia as an Iranian local tour operator has stood with open arms. 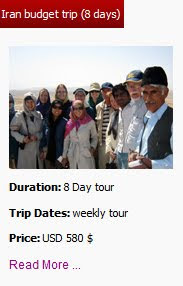 Just choose us and let us help you being exposed to Persian culture, people, history, lifestyle and hospitality through our Iran tours and travel services!